Swimming is a lifesaving skill, and a lifelong sport. HealthQuest Swim seeks to not only teach and improve swimming, but to foster a love of the water. Whether you’re young or just young at heart, we offer a range of classes in the water such as aqua fitness classes in our warm, covered pool, or USA Certified Master's Swimming program for the competitive swimmer, as well as swim lessons are all available in our two pools. 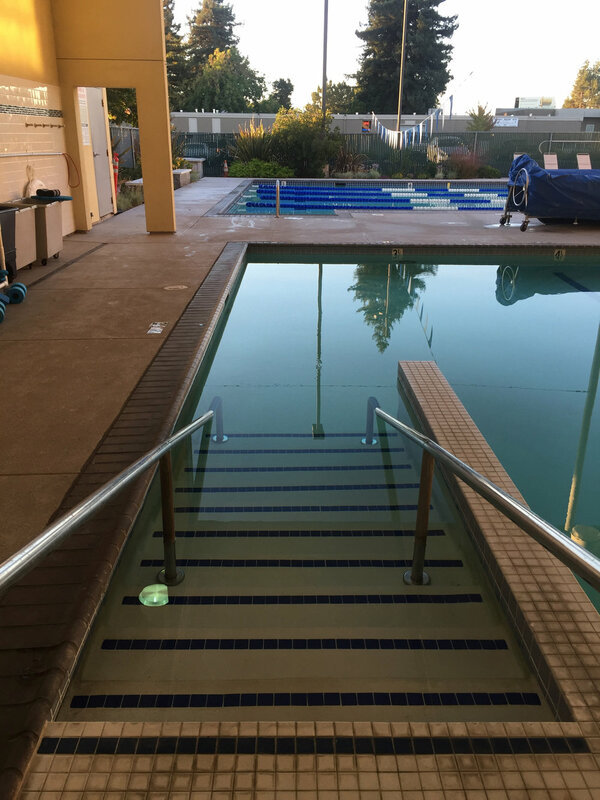 HealthQuest provides the finest swim school in the Napa Valley. 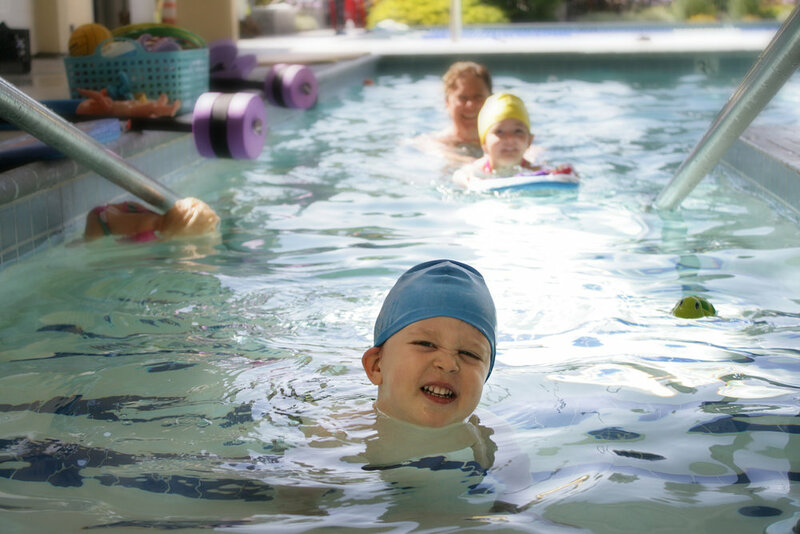 Our program offers swim lessons for all ages, including infants and adults. Our flexible schedule offers group, Parent/Child classes or private lessons. Group class sizes are small so each participant receives plenty of individual attention. All of our swim instructors are Red Cross Certified and have received extensive in-­house training. This experienced team is eager to help their students build confidence through a variety of interactive water activities. We want students to learn to swim in a positive, warm and caring environment. We feel this is the perfect combination for producing HAPPY swimmers! For more information please call the HealthQuest Swim School Office at (707) 254-0636. Don't wait to kickstart your fitness- the pool is calling! Our adult swim workouts offer a dynamic solution for anyone who wants to switch up their cardio routine. Geared toward all swimmers who want to improve skills and gain fitness in the water, each coached workout is able to be tailored to suit the individual swimmer's goals. Whether you are looking to become a faster swimmer or seeking a fun, low-impact workout, come join us anytime during adult swim; and just let the coach know your swimming level. Sample Workout by Coach Bob! Warm up -250 easy, Choice of strokes, 100 yards must be kick. Cool down- 200, easy free, forward eggbeater. Ready to (literally) get your feet wet?